Special editions in English translation from the Russian journal of senryu and kyoka of the same name, edited by Vladislav Vassiliev, Valeria Simonova-Cecon, Roman Lyakovetsky and Nataly Levi. All rights reserved. 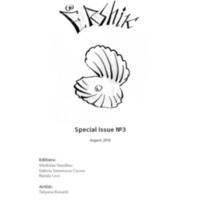 These issues of Ershik are republished here with the kind permission of the editors. 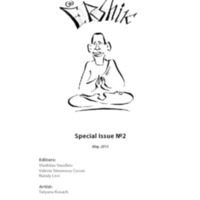 Ershik editorial board, “Ershik - Special English Language Annual Editions,” The Haiku Foundation Digital Library, accessed April 20, 2019, http://www.thehaikufoundation.org/omeka/items/show/3497.